It’s been a LONG time since I’ve shared a recipe with you! I’m horrible about writing down measurements as I’m going and I’ve learned that I can’t base it off of memory…my mama brain is overloaded! The last couple of months I’ve been busy making delicious recipes from blogs I follow. I’m a HUGE believer in supporting friends in any way I can, so when they create a new recipe, I’m more inclined to make it rather than experimenting with one of my own. If you read my budget post, you also know that following a recipe makes life easier in our household – Josh can jump in and help or take over while I play with Willow. 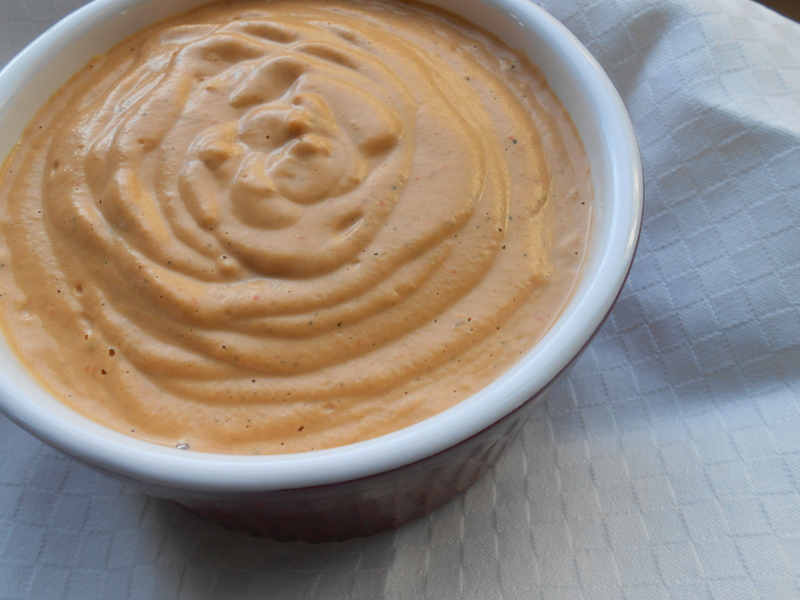 Last week I whipped up a new cheeze sauce, but failed to write down the measurements – since there were a few people requesting the recipe, I made another attempt and it turned out even better than the original one. 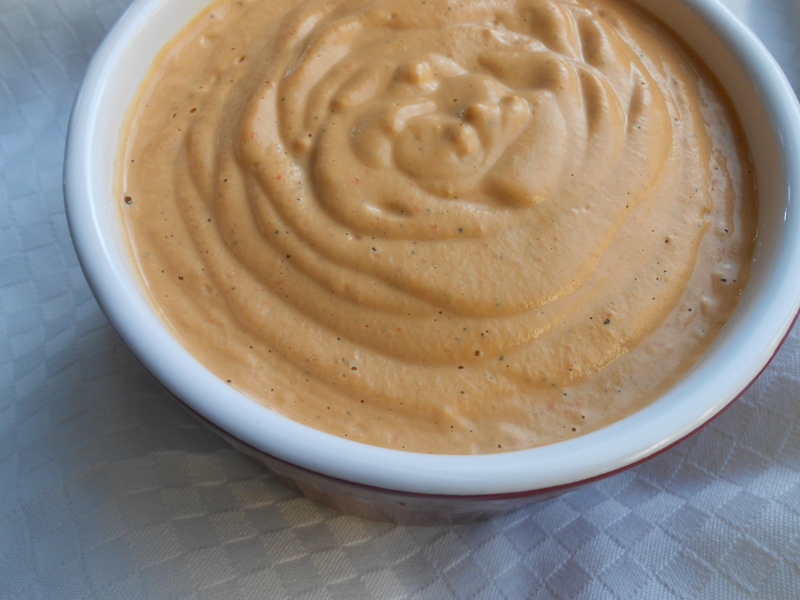 So, I present to you, yet another cheeze sauce recipe that uses just a handful of ingredients and takes minutes to make. 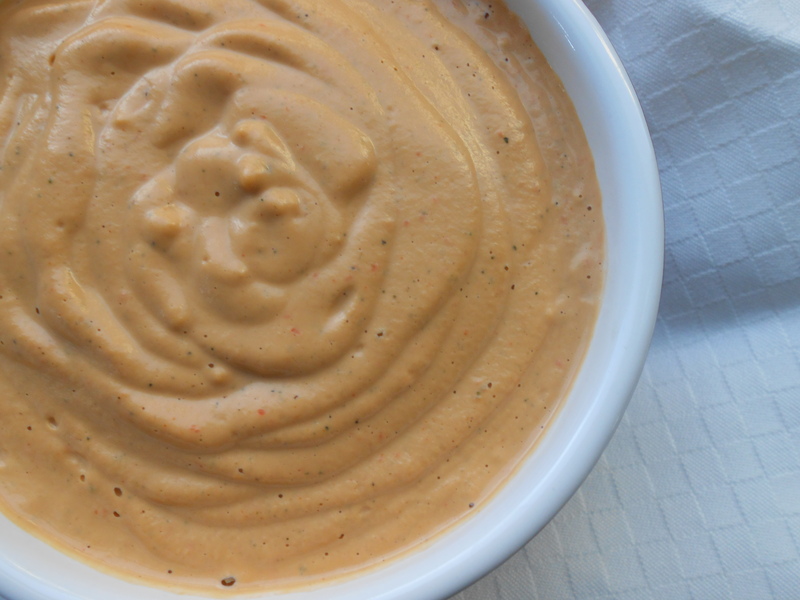 ** If you have a nut allergy, please visit a previous cheeze sauce recipe of mine that uses sweet potatoes, carrots and onions. You can easily add in the smoke flavor to that recipe. *** If you do not have (or can’t find) hickory smoke seasoning or liquid smoke, you can try either increasing the smoked paprika or using smoked sea salt as opposed to regular sea salt. You can also omit the smoke and you’ll be left with a creamy cheeze sauce. Drain and rinse your cashews; place in high-speed blender with all the ingredients except water. As the blender is running, slowly add water in until you reach a consistency that’s good for you. I started with 1/4 cup of water and ended up using 3/4 cups. Depending on how much “water” your pepper contains, you may need more or less. Also, if you’re looking for a thick sauce, almost dip-like, you’ll want less water. 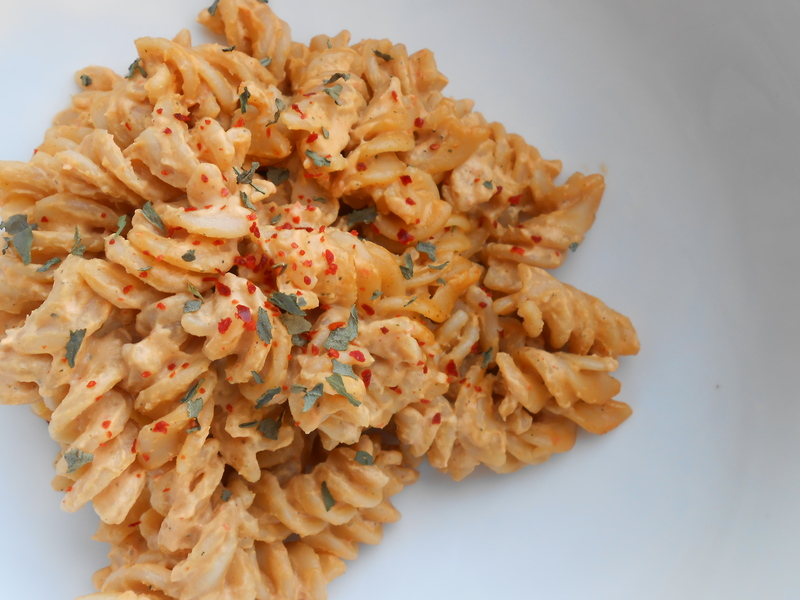 For the latest batch I made, we used it to make Mac ‘n’ Cheeze, so I wanted a thinner sauce. You can keep this sauce “raw” and either eat with veggies and roasted potatoes or mix with cooked noodles. You can also gently heat it on the stove for a few minutes, but know that it thickens significantly when warmed up. We added it to cooked noodles and then baked in the oven for 10 minutes at 350 degrees Fahrenheit to let the flavors meld together. We saved some extra “raw” sauce to pour over the final dish. If you have leftovers, they will keep in the fridge for 3-5 days or you can freeze the sauce. When you reheat it, you might need to add a little more water or broth to thin it down a bit.